The upcoming Seed to Sale Show, presented by the National Cannabis Industry Association (“NCIA”), the industry’s most influential trade association, will provide the information and networking opportunities needed for attendees to navigate the next wave in the cannabis revolution. Taking over Hynes Convention Center in Boston, Massachusetts, on February 12-13, 2019, the event is hailed as New England’s only true B2B cannabis summit. This is your opportunity to establish a place on the ground floor of untapped markets by networking with industry leaders and taking advantage of the latest advances in science and technology. NCIA is expecting a massive audience of 3,000+ industry leaders and 150+ exhibitors to focus on technology and science as they pertain to the seed to sale cycle, setting the third annual Seed to Sale Show apart from run-of-the-mill cannabis tradeshows. Policymakers, entrepreneurs, experts and newcomers will convene to discuss best practices in emerging topics, brush up on policy issues and exchange insider secrets. With three unique tracks focused on cannabis technology, marketing and logistics, NCIA has formulated an engaging agenda that’s unmatched in the cannabis sector and sure to have something for everyone. The Seed to Sale Show agenda will be headlined by a selection of can’t-miss keynote presentations. Day one will open with a keynote from visionary entrepreneur Adam Bierman, CEO and co-founder of MedMen Enterprises. Day two will get underway with a fireside chat between NCIA Executive Director Aaron Smith and Steven Hoffman, chairman of the Cannabis Control Commission of Massachusetts. The duo will discuss the first few months of adult-use legalization in the state, as well as the challenges of implementation and the path forward. Finally, the Seed to Sale Show will close with a panel discussion called ‘Social Equity: Promoting Sustainable, Social, and Reparative Practices in the Cannabis Industry’. Advocacy and industry leaders – including Shanita Penny, president of the Minority Cannabis Business Association; Andrea Cabral, CEO of Ascend; Laury Lucien, CEO of GreenLight Business Solutions LLC; and Kebra Smith-Bolden, CEO of Cannahealth – will discuss the importance of equity and social justice as a foundation of the industry as states and the federal government get closer to making cannabis legal. Time is running out to secure your spot at NCIA’s Seed to Sale Show. Register today to save more than $100! Regular pricing ends on February 11. The opportunities on offer at the Seed to Sale Show go far beyond the stage to a 40,000 square foot expo floor. After you’ve taken a walk around the venue, cultivated new business partnerships and went hands-on with innovative business solutions for the emerging market, you’ll want to check out the event’s workshops and forums. On February 12 at 1:00 PM, ‘Compliance and Audit Preparation through Real World Recall and Regulatory Scenarios’, presented by The Cannabis Conservancy and Allay Consulting, is designed to teach new and old businesses how to best prepare for inspections. The two-day Cannavest: Institutional Capital Forum will run throughout the Seed to Sale Show, providing an opportunity for companies looking to raise capital from institutional and accredited investors. The forum will provide an in-depth look into the emerging cannabis industry and show attendees how to evaluate and achieve investment returns that are uncorrelated with the equity markets. Space is limited for these special events, so register today! 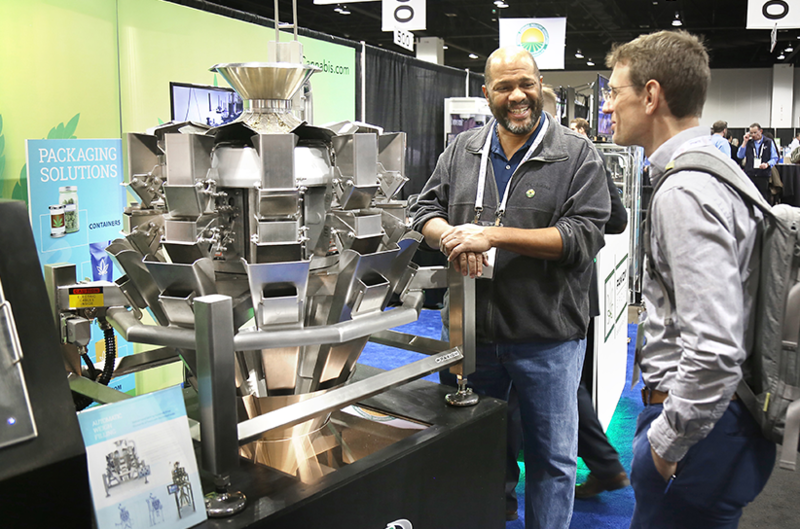 The NCIA will bring together people, labs and product manufacturers who are innovators in the industry for the Seed to Sale Show. Business to business networking, cultivation, extraction technology and manufacturing are all highlights that are not to be missed during this premier cannabis conference. The industry’s most influential trade association leads the New England green rush with the market’s only true B2B cannabis summit. Over 3,000 industry leaders and 150 exhibitors are expected for the two-day event. A keynote presentation from Adam Bierman of MedMen Enterprises headlines a jam-packed agenda. Business solutions will be on display across a 40,000 square foot expo floor. In-depth workshops will explore the intricacies of cannabis regulation and the art of securing investment funding. Business to business networking, cultivation, extraction technology and manufacturing are all highlights that are not to be missed.